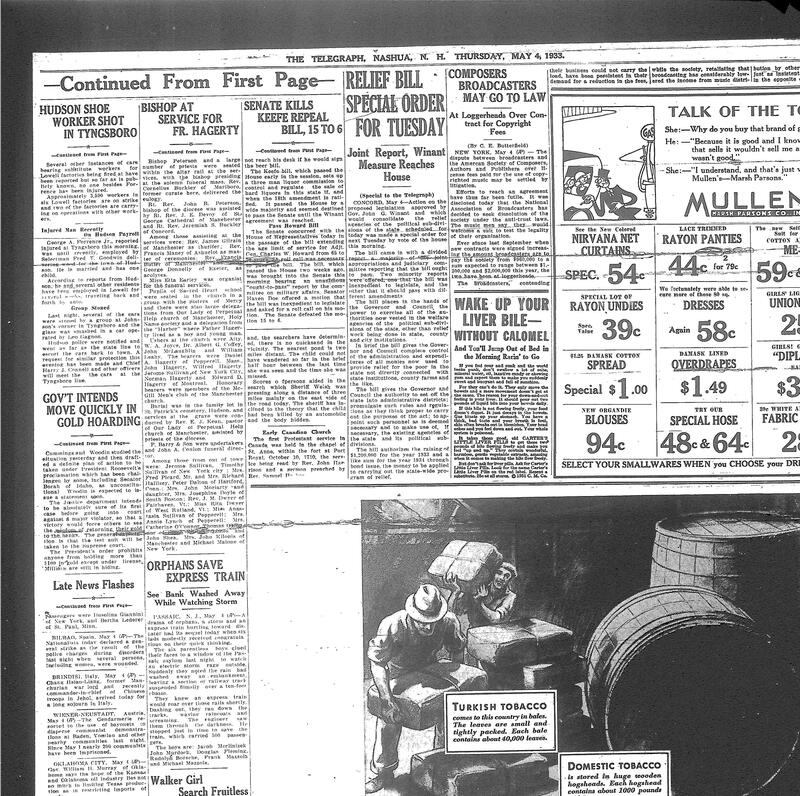 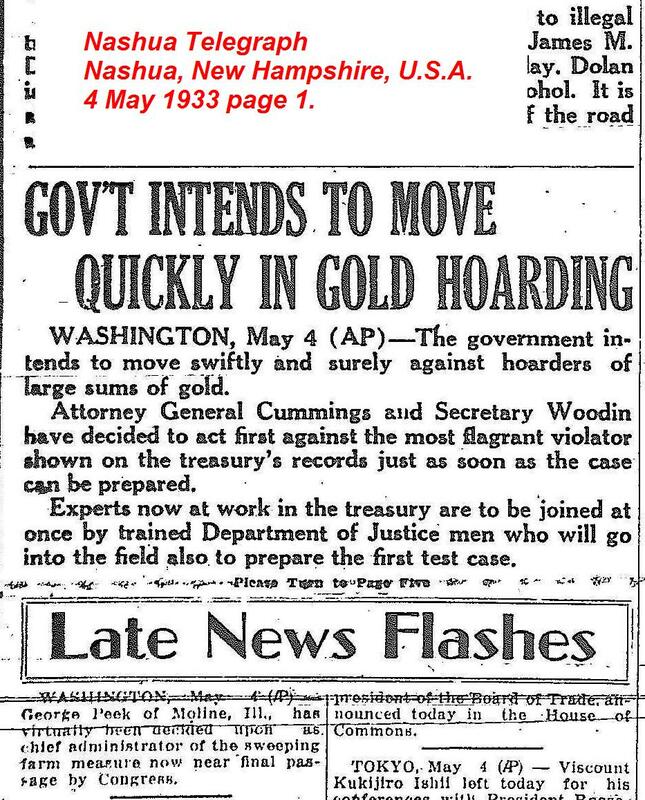 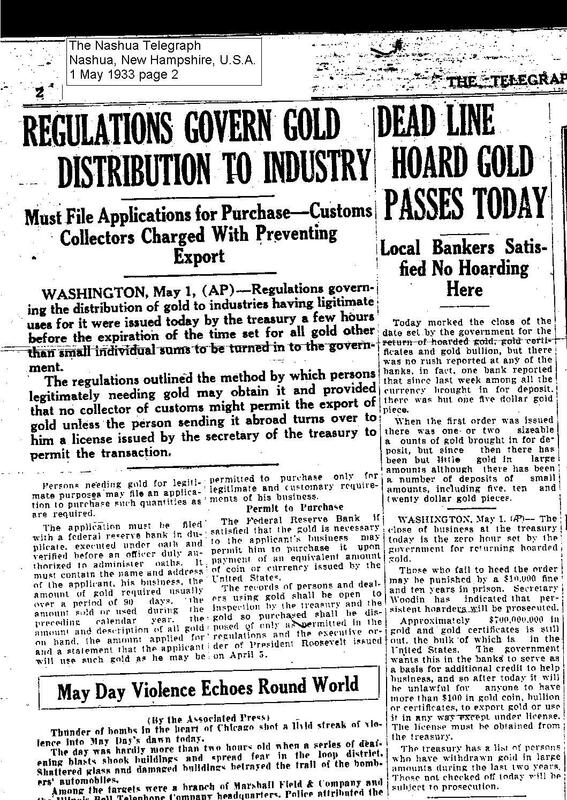 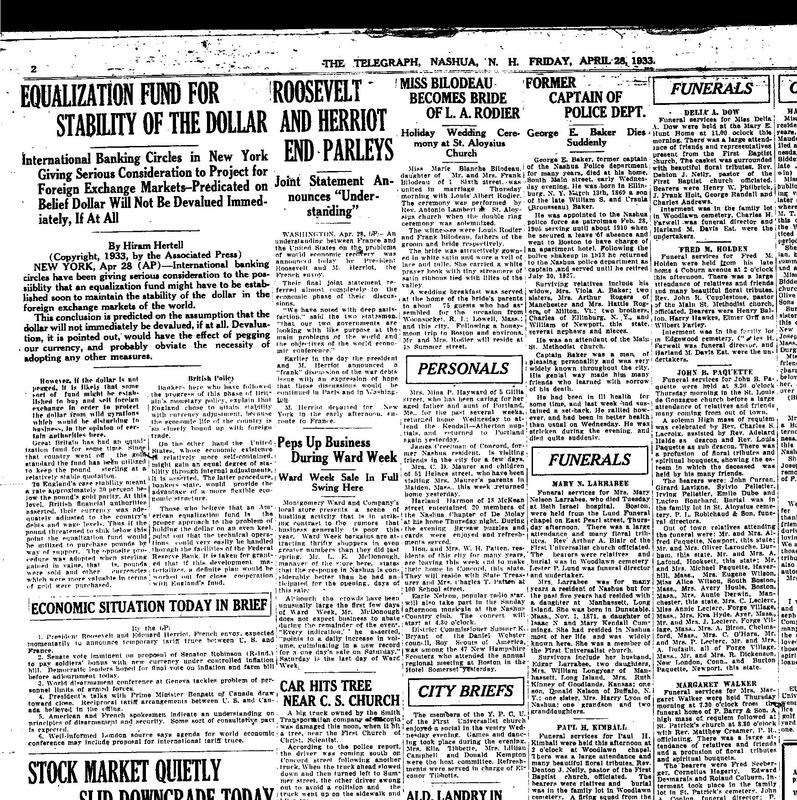 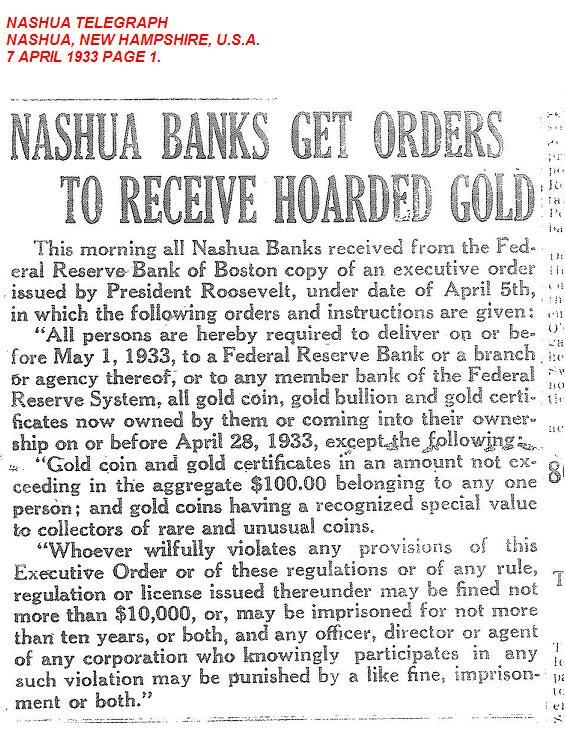 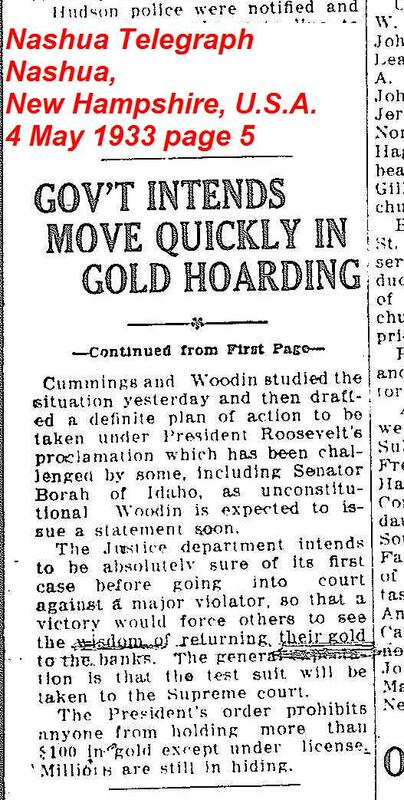 Nashua Telegraph, 17 March 1933 page 3 Pre-order ad by Nashua Trust Company urging people to turn in their gold. 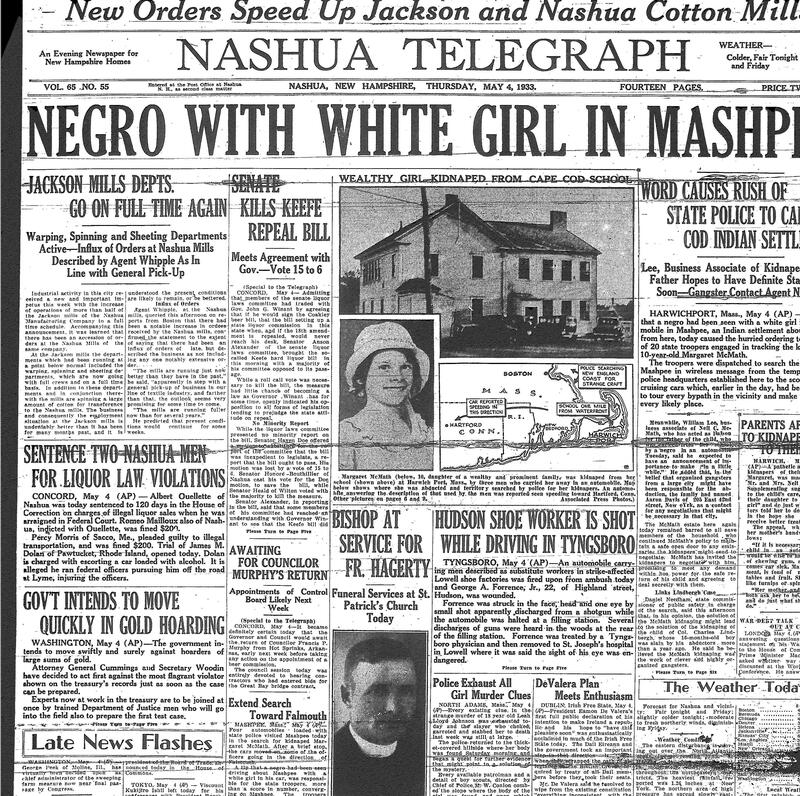 Nashua Telegraph, 25 March 1933 page 4. 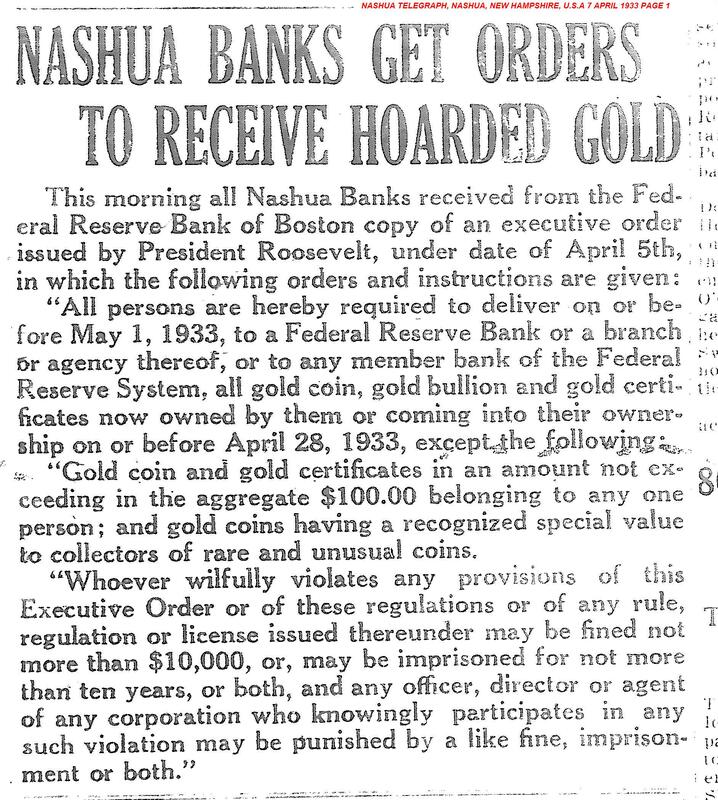 Nashua Telegraph, 6 April 1933 page 4. 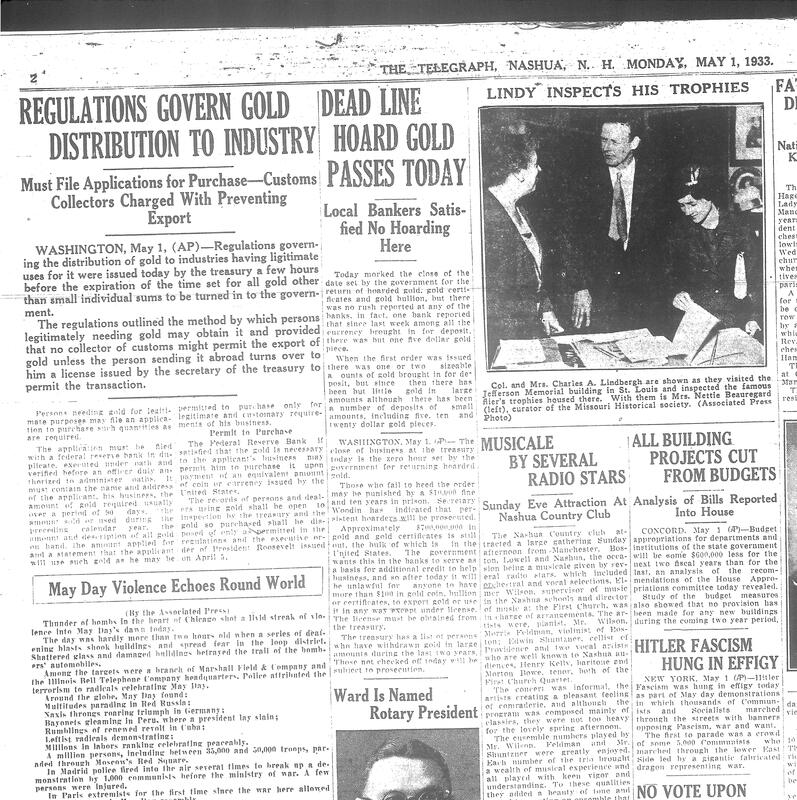 Nashua Telegraph, 13 April 1933 page 5. 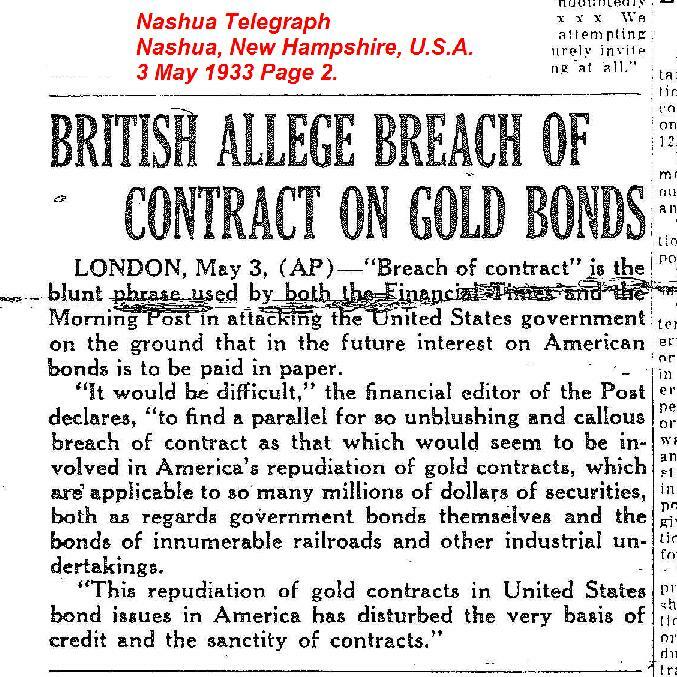 Nashua Telegraph, 11 May 1933 page 13.